"Honeysuckle makes the best twist sticks" advises out Peter Jones, who comes across a lot of twisted stems in Kent and East Sussex. 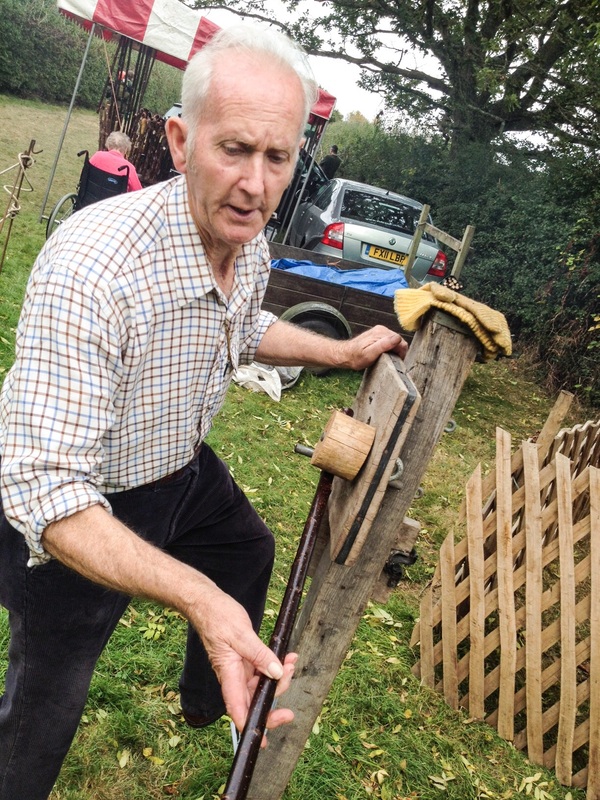 As a result, he is able to trade these with fellow stick makers in more northern English areas - they give him carved tops for walking sticks in exchange for good twisted shanks. 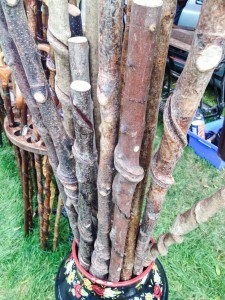 But even among twisted sticks there is variety: the slower growing trees such as holly and oak twist more slowly whilst the fast-growing chestnut twists quickly. Though he also corrected me pointing out that the maker of walking sticks should really be called a "stick dresser"
Peter's first experience of walking sticks was 30 years ago when he was using sticks for "beating". He and the other beaters used sticks to get pheasants to fly up for the "guns" to shoot. For that exercise, he first started creating walking sticks and hasn't really stopped since. But he has become more sophisticated. 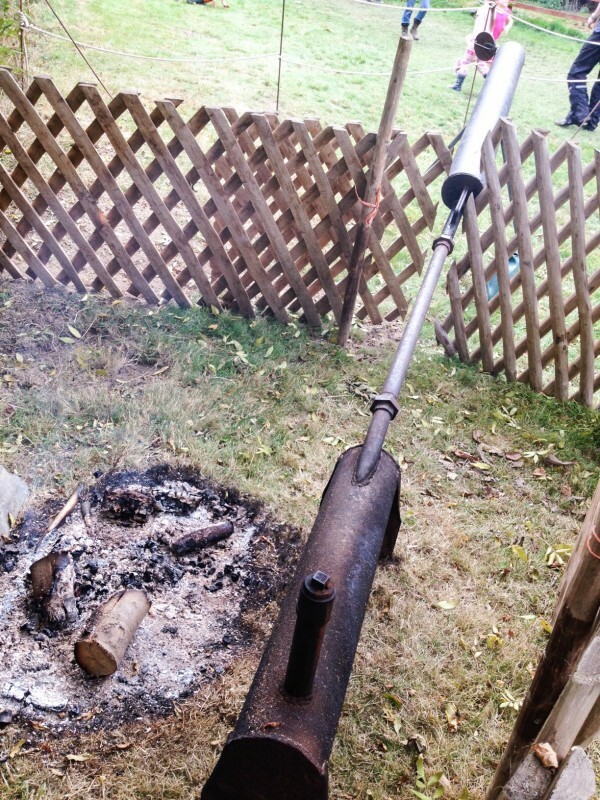 The steamer, for example, boils water in a kettle-like chamber and the water vapour fills a second chamber where as many as 15-20 sticks at a time can be steamed, ready for him to bend over their tops. It takes about half an hour to steam a batch and Peter uses a novel device for doing the bending. Once the sticks are bent over, they have to be sealed quite soon so the they don't unbend themselves. 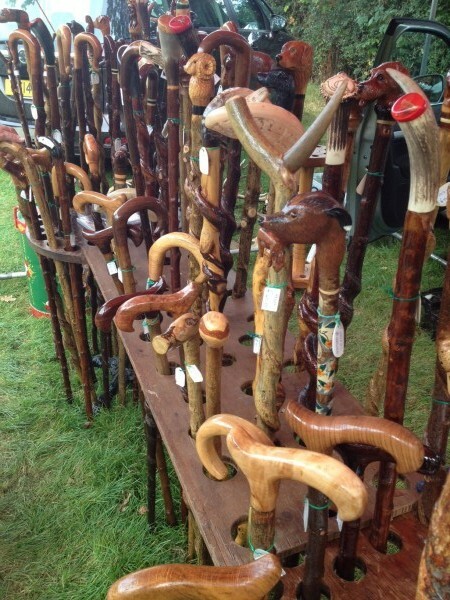 Peter Jones says that his industry is shrinking in size but not because the stick-dressing skills are dying out but because demand for wooden walking sticks has reduced. Maybe that's because people use aluminium walking sticks or maybe, as Peter laments, "the problem is that there is this myth that you have to be old to have a stick." Bit random I know, but I wonder if you are the same Peter Jones from Bearsted who had a sister called Peggy???? My mum. I am looking for hurdle and coppocing courses . Can you advise?. I live in Worcestershire, I can’t believe the amount of emails I’ve sent out on this subject without any replies. Hello Mr Jones.. I understand from Cathy at Bentley that you will be exhibiting at the Woodfair there (15th – 17th) this month.. I am looking for a Shepherds Crook with a white (cows horn) crook and a nice brass/silver etc coller to the main Chestnut Stick.. I am 5 foot 6 inches tall.. Would you have something like this I could buy from you and collect at the Woodfair please..?? If so, what would your price be..?? Thank you.. Best regards, Lindsay Reid (Mr). Article fascinatining, but all too short? Would love a regular feature and lots more sticks, or mabe even some video footage, please? Great article. 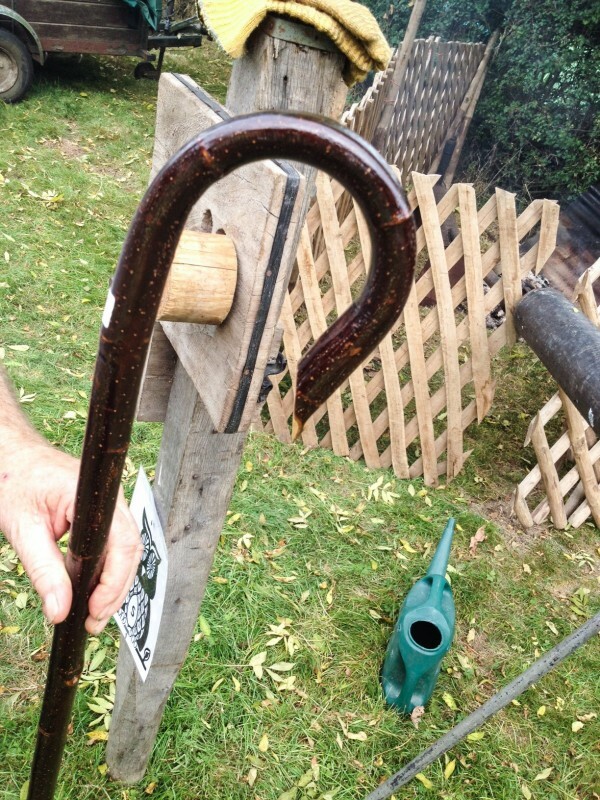 I’ve made a couple of walking sticks myself but never done any steam bending. Might try my hand at this! Making model trees and woodlands in tabletop battles. Stick and flick, a possible solution to dog mess in woodlands?